If you watch a mechanically-correct golf down swing, you will see how the hips & legs provide the leverage for most of the action. When you really get it right, you’ll have the added benefit of gravity to maximize club head speed with efficient effort. For all the “use the ground” stuff you hear on TV, the real phrase is “use gravity,” because you are swinging down and if you are using any muscle force other than that in your hips and legs to do most of the work, you are not being efficient. Most swingers who err in their mechanics do so because they’re trying to swing the club “forward” at the target rather than down, and it’s as simple as that. The only arm “action” I use in my down swing is from the “3 O’Clock to 9 O’Clock” positions – that’s it, because from the top to “3 O’Clock,” it’s all leg and hip work. Now, show me another nearly 50 year old swing analyst or coach who can do that above after not swinging a club for a week and only once or twice in the two weeks before without throwing their back out of joint. Truth be told, you won’t find many professional golfer who can do the above, other than the longest hitters, and they’re going to be in their 20’s or 30’s. 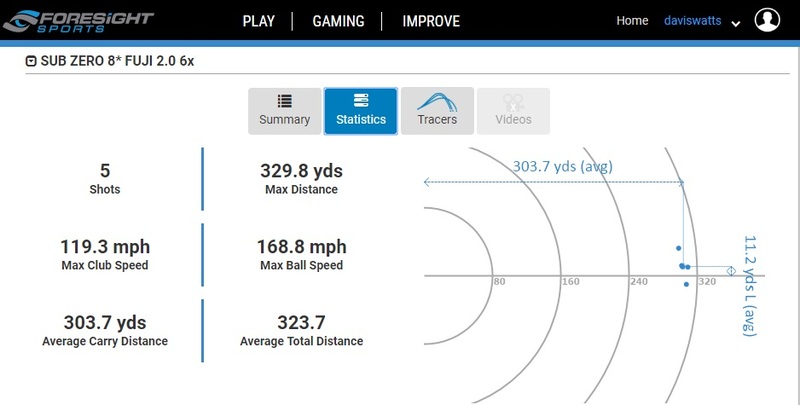 That’s not to say I possess any extraordinary abilities other than having built an optimal golf swing model that allows me to swing at nearly the same speeds without training or practice as the game’s longest players – and when I put the work in, I would generate even better numbers than the above. It’s the technique, my friends – so if you’re unsure what you’re not doing correctly to maximize your performance, just go back over the stance & setup of your MCS swing, and then review the pivot and leveraging exercises from the most recent videos. I will now get down to the task of completing the Final Edition of the MCS Golf Swing eBook, as I had put that off until I completed the last video project – and as promised, anyone who has the current 1st Edition copy will receive the updated version when it’s ready! This entry was posted in Gravity Drop, Leverage, MCS Golf Swing and tagged DJ Watts, Gravity Drop, Leverage, MCS Golf Swing, Pivot, WAX Golf on September 24, 2018 by D Watts. This statement jumped out at me. Quite profound if you think about it. It’s counter-intuitive, JJ – especially if you’ve played baseball or tennis where you are swinging the implement at the target. 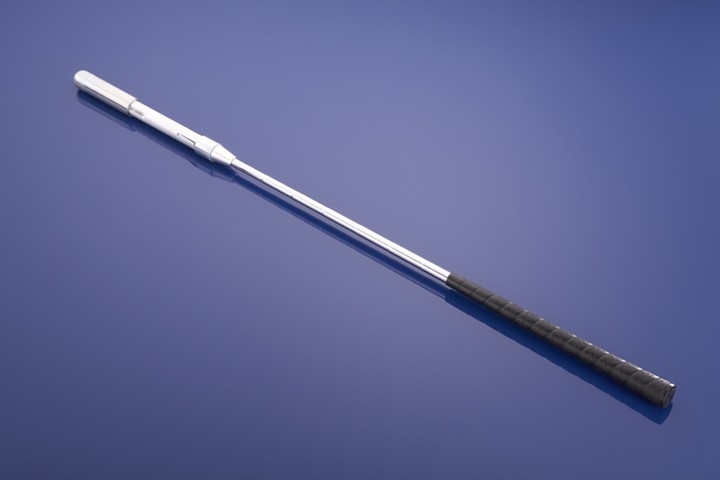 But with the golf swing, it’s a pendulum – and the pendulum accelerates to the bottom of the arc. Pretty straight-forward, but this is what people forget – there is no applied force that propels the pendulum end forward, is there? The “forward” force of a pendulum comes from the acceleration downward, so that the end of the pendulum has nowhere to go after the bottom except forward & up! So, if you really want speed & power the proper way, you want to swing down and not forward. The faster you swing down, the faster the club head goes forward from the bottom. 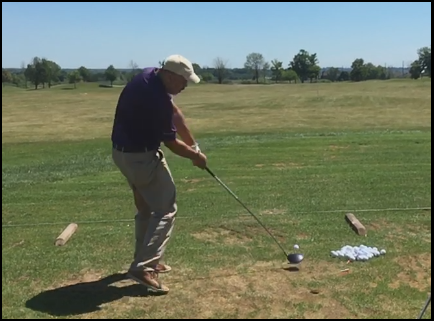 Note: The advantage you have with the golf swing over a simple pendulum is that the power arm and hand continue to apply force after impact, but in the nature of extension and release, as you see in the above swing gif. – but you’re not swinging at the target, simply continuing the swing motion through the bottom to the 9 O’Clock position. The primary source of club head speed however is getting that downward trajectory from the top through leverage. This is how the MCS Golf Swing model uses the principles of physics. And that is science, not Modern Golf Swing mumbo-jumbo!